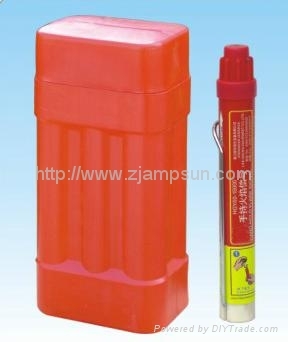 Characteristics: This product complies with relevant requirements of SOLAS 74/96、LSA stipulation and it is MSC.218(82) amendment and MSC.218(70) lifesaving equipment standards . It is accredited by CE certificate issued by Germanischer Llyod AG, approved by China Classification Society (CCS) and the Register of shipping of the People’s Republic of China. It is used for leading safe landing of ships and vessels, liferaft; offshore platform signaling and indicating position.